When Virtual Console was first announced, I have to admit I was really optimistic. I was looking forward to playing several of my favorite classics without having to hook up a half-dozen consoles. For those who hadn’t played them, well, they’d get to enjoy what I did. I am still a big proponent of what Virtual Console can do, but now my original optimism has been lost. I just don’t have the willpower to replay many old games I liked – only the best, if they do get released – but I find that it is a great way to experience the ones I missed. Four days ago, I had never heard of Gain Ground. On Saturday, a friend recommended it to me when he saw the list of games on VC. I bought it and started playing… and I didn’t stop until I beat it. Oh sure, I was playing on Easy – and the game’s not incredibly long – but I was completely absorbed for an hour and a half. More so than any game I’ve played in recent memory. You’d think a rifle would be more effective against caveman archers. The idea is simple. The game is divided into several sections, each of which has 10 levels. 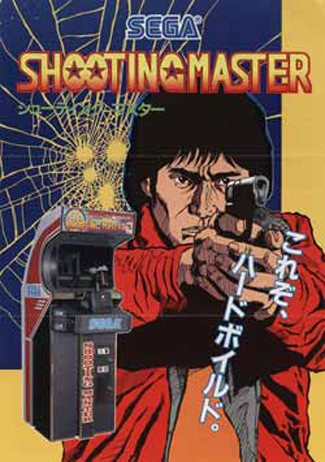 Each level takes place on a single screen. This screen is filled with baddies who shoot and sometimes wander around. Sounds like any other action game, right? The interesting bit is in the characters. Each has a specific movement speed, attack type and special ability. Some are useful more often, but each is useful in a given situation. At the beginning of each stage, you pick one of them. If they die or exit, you pick again and start with that character. In Easy and Normal, you start off with three characters and get the rest by rescuing them in the stages (by picking them up, then exiting the stage with them). In Hard, you start with all the characters but cannot get any more. It’s still not all bad in Hard, though – if a character you have dies, you can rescue them so long as nobody else dies before they’re rescued. Between the different characters and the rescuing system, there’s a lot more strategy hidden in the game than is initially apparent. 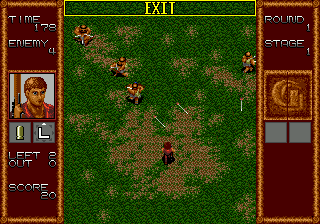 Look at the terrain, where the enemies are, and so on, then pick the most appropriate character to wipe them out. But if they die, your priority is to rescue them (if you kill all enemies while an un-rescued character is on the stage, they’re lost). It may not have saves and it may only use two buttons, but this is a really cool game (let’s not dwell on the plot, though). This is what I now look to the Virtual Console for – while Earthbound, Arcana, Bionic Commando and so on would be nice to play again, it’s great to find an entirely new game. The library that’s already out there may surprise you if you dig below the surface. Sure, I was addicted to this game in its first incarnation on the Genesis, but you can imagine my shock (and joy!) at its inclusion on the VC service. It was such an obscure game. I never thought I would hear of it again.